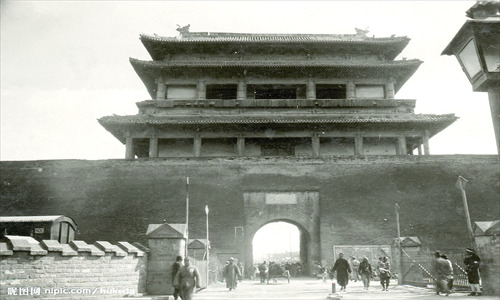 Recently the Beijing Municipal Bureau of Cultural Relics Protection announced that they are planning a construction project to renovate old, iconic architecture in Beijing, including the city gates. Most of these gates were razed to the ground after 1949, especially during the construction of Subway Line 2, which has been built on the previous moat surrounding these gates and the walls. However, their memory still resonates in the city. Lifestyle has dug out some of the unusual stories and secrets behind these city gates. 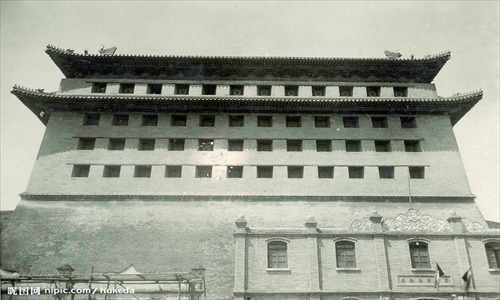 In terms of geography, the Chaoyangmen gate faced towards the east. This was no coincidence. The west and north side of the city faced the mountains that offered the city a natural defensive barrier against invaders. The south was mostly sandy terrain that was not suitable for planting or housing at the time. Therefore the east was the direction Beijingers often used as an access point to the outside world. 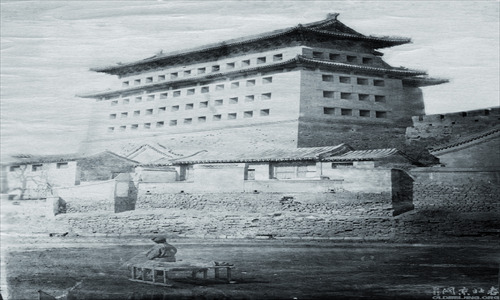 Via the Tongyun River, goods such as grains were easily transported from the south to Chaoyangmen harbor before entering the city. As a result, many grain houses were built in the region. In addition, due to its open location to the outside world, this area later became the assembly place of embassies. Each city gate has its own character. For this one, its defining quality was its high taxation that vendors passing through the gate during the Qing Dynasty (1644-1911) were charged. The highest taxes at that time were on wine. In fact, so high was the tax that some vendors even risked their lives by climbing across the city wall armed with wine at night in order to escape the taxes. 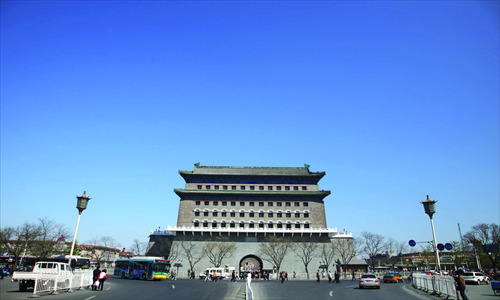 The name Qianmen does not actually refer to the city gate itself, whose official name is Zhengyangmen. 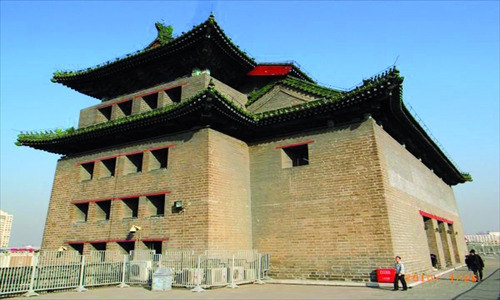 Instead, Qianmen mostly refers to the region surrounding the gate. 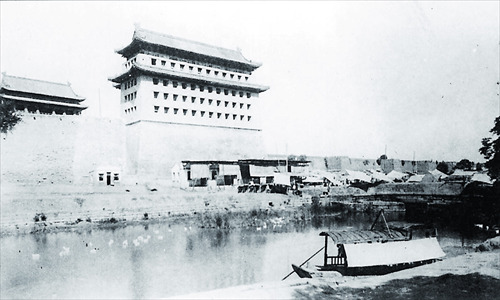 Historically Qianmen was where most vendors assembled. From Quanyechang to Dashilanr, big commercial names of Beijing such as Tongrentang pharmacy, Quanjude Beijing duck restaurant and Liubiju Chinese pickles store were located there. This is a gate with a very different history and feel. From the Yuan Dynasty (1279-1368) until the end of the Qing Dynasty, those who received capital punishment were often taken across the gate to Caishikou, where the execution ground was located. On Xuanwumen there used to be a poster saying "Too late to regret!" to those condemned criminals. To the west of Fuchengmen is Mentougou, the coal-producing region, so this gate was defined by coal. Old Beijingers might still remember how coal was transported from here to the fireplaces of most families in town. In the past, this area that most people now associate with traffic jams was used mainly for transporting water instead of vehicles from Yuquan Mountain. Since the water from the wells in town was not fancy enough for emperors, the water from Yuquan Mountain in the northwest was the ideal alternative and Xizhimen was on route. 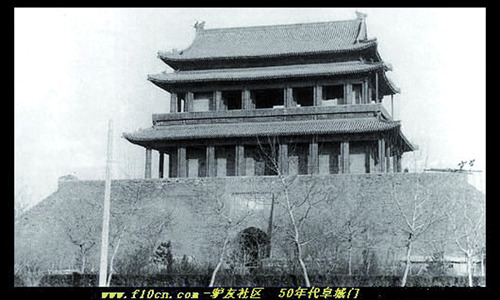 Deshengmen is the luckiest gate since it has miraculously managed to remain untouched, save for a few renovations. In the past, it was the major access gate for troops to pass through when off to the battlefield. One precious item that makes the gate particularly outstanding is a stone column with Emperor Qianlong's (1711-1799) poem on. It is said that the word desheng ("win over morality") inspired Qianlong, who at the time of writing was already 62 years old. Andingmen was where troops who had lost on the battlefield were meant to pass through due to its name meaning composure and peace. However, what mostly passed through the gate were dung carts as a result of being close to a big cesspit outside the city gate. Now both the gate and the cesspit have disappeared. Bricks and wood were all gathered here before being dispatched to the rest of the city. Some even made brick kilns outside the gate for convenience. 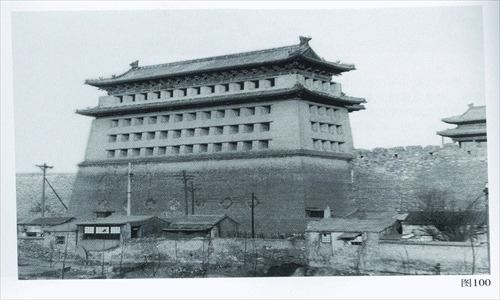 Apart from transporting these materials for construction, Dongzhimen was also one of the busiest gates. From restaurants to groceries, businessmen opened their stores along the roads near the gate.